Home » tech » Hard Drives, SSDs, Flash Drives: How Long Will Your Storage Media Last? Hard Drives, SSDs, Flash Drives: How Long Will Your Storage Media Last? When looking for storage media, we’re not short on good options. Whether you want large capacities, superfast performance or portability, there’s a perfect choice for you. But just how reliable are these different media? We know that CDs and DVDs don’t last forever. What about hard drives and solid state drives? How long will they continue to work in your computer, and how long will they store your data if you use them for archiving? It’s well-known that deleting files from a hard drive does not mean that they are gone forever. Security experts will, from time to time, collect drives from discarded computers purely to demonstrate how much data can be recovered off them. It’s normally a startling amount. In fact, the only way to be sure your data is gone is to physically destroy it. Unfortunately, that doesn’t mean that a hard drive is a reliable long-term storage device. A hard drive is totally reliant on a series of moving parts — a spinning disk that’s read by a moving arm with a magnetic head. Like anything with moving parts, it will break eventually. 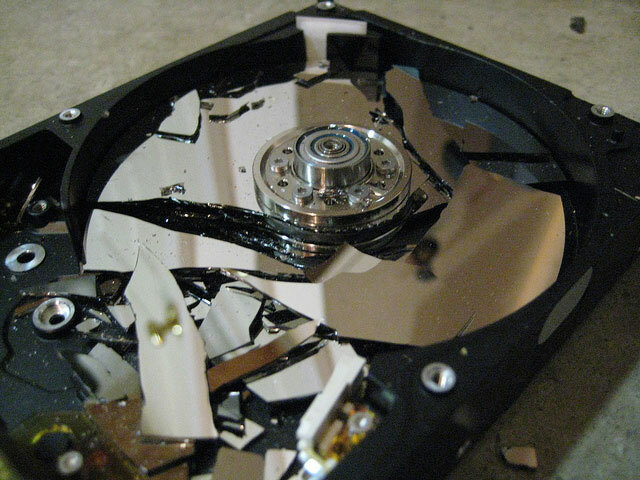 Hard drives are prone to suffering what is called a head crash, where the head touches and scrapes across the disk. This can be caused by all manner of things, from a power cut or surge, to physical shock to a manufacturing defect. With regular use, a head crash, or other physical failure, will be the reason you need to replace the drive long before any other form of degradation sets in. A 2013 study by cloud storage company BackBlaze looked at 25 thousand drives and found that around 5 percent failed during the first year and a half, most likely due to manufacturing defects. They were then largely stable until the fourth year, when the failure rate rose to 11.8 percent. 74 percent of drives lasted beyond the fourth year. If the drive is unused — if you were to copy your data to it then store it away — you can reasonably expect your data to last for many years. A hard drive stores its data magnetically, and as long as you keep it away from another strong magnetic source, it is fairly stable. The magnetism can diminish over time, putting the data at risk, but this can be restored by powering on and reading or writing the data. You should do this every few years if you’re using a hard drive for long-term storage. The long-term viability of SSDs is less well-known, simply because they haven’t been around long enough for any definitive studies to provide the answer. A solid state drive doesn’t contain the moving parts of a hard drive. The spinning platter (the disk), the arm and magnetic head are absent, and flash chips are used in their place. This means an SSD is not vulnerable to head crash in the way that a hard disk is. The added durability gives the SSD an obvious reliability advantage, especially when it comes to shock or exposure to less than optimum environmental conditions. They’re also not affected by magnets. However, it should be remembered that the other components in an SSD are the same as those in a hard drive, and are no more or less likely to fail. SSDs are also extremely susceptible to power failure, leading to corruption of data or even the failure of the drive itself. With solid state drives still being in their relative infancy, it will likely be a few more years before we get a true picture of how well they hold up to repeated use. The lifespan of each memory block in an SSD is limited to a certain number of write cycles i.e. the number of times a piece of data can be stored to it. The number of cycles will only be a few thousand on most drives. This sounds alarmingly low, but is not really an issue in modern SSDs. Unlike hard drives, which write their data to the earliest free block, an SSD uses technique called wear-levelling to ensure that each memory block is used before the cycle begins again at the first block. Unless you’re writing tens of gigabytes of data a day, every day for several years, you won’t get close to the limit on write cycles. Even if you did, the memory would become read-only, so your data would still be accessible. All this means that SSDs are a great choice for day-to-day storage over HDDs, so long as performance is bigger priority than capacity, given the relatively higher price of a solid state drive. An SSD is not a good option for long-term storage, though. How long an SSD can store data without power depends on a number of factors including the number of write cycles that have been used, the type of flash memory used in the drive, the storage conditions and so on. A white paper produced by Dell in 2011 (PDF link) stated that it could be as little as three months to as much as 10 years. Many SSD manufacturers will list data retention either as part of the specification or the warranty for their drives. The JEDEC Solid State Technology Association sets the industry standard at one year for consumer drives. USB flash drives, as well as memory cards like SD cards, have similar issues to solid state drives. They have fewer components and are far more robust, but are restricted to a finite number of write cycles usually in the range of 3,000 to 5,000. And since they tend to use cheaper memory modules, they can be less reliable than SSDs. Again, though, this needs to be kept in perspective. If you’re using the flash drive for its primary purpose of moving files from one location to another, then a cheap drive will be more likely to fail through physical damage (such as breaking the connection between the USB jack and the printed circuit board inside the drive), before the write limit is reached. Equally, an unejected drive will be more likely to put your data at risk. A lack of fault tolerance can put the entire drive in danger. USB flash drives aren’t a great option for archiving. Drive manufacturer Flashbay has said that data retention could theoretically be in the region of 60 to 80 years, if stored in a perfect environment. In reality, it is far lower. As with SSDs, data retention is affected by the health of the memory blocks. A flash drive bought specifically for backing up files then storing could potentially last for many years; a heavily used drive could lose its data within months if left unpowered. The most important thing to remember when looking for storage media for backup (and now is a good time to buy flash storage) is that nothing lasts forever. You can reasonably expect storage device to keep hold of its data for a couple of years if it goes unused. But you should also regularly check the drive, and that the data is still intact. Copying the data off the drive and then back on will ensure it extends its life for a few more years. 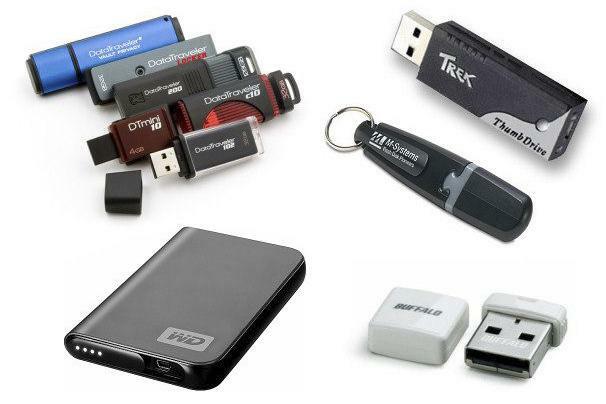 What storage media do you use for your day-to-day computing? When you make backups of your important files, how often do you check that it is still accessible? Let us know in the comments.